Unless you've been living under a rock for the past 20 or 30 years, you don't need to be told that bed bugs are making a comeback. In fact, if you're young enough, you may not even remember those halcyon days between the 1940's and the late 20th Century when America was essentially bed bug free. From about the time of the Second World War until the end of the 20th Century, even exterminators and entomologists believed that there were no bed bugs in the United States. And they probably were right. 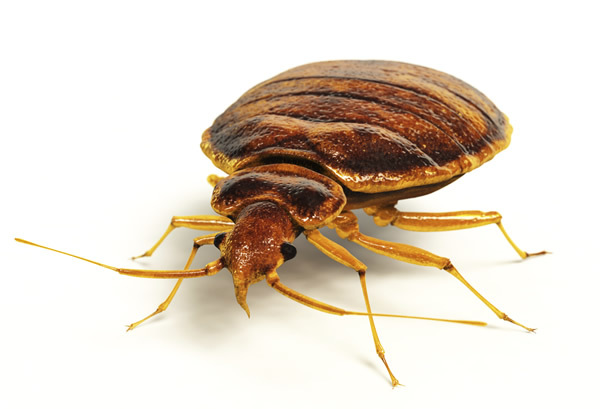 Certainly none of us who were in the industry back then had ever come across any bed bug infestations. Even the training manuals for exterminators and the certification tests we took back then didn't touch upon bed bugs. For all practical purposes, they may as well have been extinct. It was somewhere around 1998 that we first started hearing scattered reports of bed bug infestations. I was working for a pest exterminating company in New York City back then, and I remember attending a seminar during which noted entomologist Dr. Austin Frishman told those of us assembled that bed bugs were going to be the next "big thing" in pest control. We all just kind of looked at each other. Bed bugs? Was he kidding? Guess what: Dr. Frishman wasn't kidding. Long considered to be virtually extinct in the United States, bed bugs now account for more calls to professional pest control companies throughout the United States than termites, and their numbers are continuing to rise. There are even pest control companies that are dedicated to bed bug extermination -- and who do nothing else. That's how big a problem bed bugs have become. For many years, that lovely poem was about the extent of the attention bed bugs got in the United States. They were considered to be, for all intents and purposes, nothing more than a distant memory. Some people even thought they were extinct. But in reality, bed bugs never quite left us. They were always around. But they were so rarely encountered (and so quickly killed) that few people -- even exterminators -- ever came across them. Dr. Frishman, in fact, had seen bed bugs in his youth. He told us a story about when he was an apprentice exterminator and had just performed his first bed bug job. When Frishman returned home from work and excitedly told his mother, she replied, "But there are no vantzen in America." Even to Mrs. Frishman, vantzen (the Yiddish word for bed bugs, also loosely applied to other parasites and pests -- kind of like scarafaggio in Italian) were just a memory from a world left behind. Alas, bed bugs are back -- and a lot of people are losing sleep over them. They're rapidly becoming one of the most frequently-encountered pests treated by exterminators. There's even a Bed bug Blog, complete with a lively Bed bug Message Board. Yes, these are the days of the Bed Bug Renaissance. Future generations of bed bugs will look back on these days as their species' Golden Age. And indeed, bed bugs are back with a vengeance. Often, a single infested mattress can contain thousands of bed bugs. When asked the reasons for the bed bug renaissance, most entomologists (biologists who specialize in the study on insects and related arthropods) tell us that there are two factors behind the dramatic increase in bed bug complaints. Firstly, people are more mobile these days. There's a lot more international travel. This has increased the number of bed bugs who "hitch-hike" in baggage and on people from countries where they are still endemic, to countries where they had once been considered eliminated. Secondly, until a few decadese ago, most residential pest control in the United States was performed using powerful, volatile, broad-spectrum insecticides that were applied as sprays. These older insecticides were effective against a wide variety of insects, and their vapor pressures and the way they were applied killed bed bugs accidentally, as it were. Or to put it in plain English, back in olden times (like when I was an apprentice exterminator), an exterminator might come to your home to "spray for roaches" using a smelly, broad-spectrum insecticide such as chlorpyrifos (Dursban), propoxur (Baygon), dichlorvos (Vapona), or acephate (Orthene). Because these products were toxic to a wide variety of insects, however, any bed bugs that happened to stagger through the spray would also meet their deaths. In other words, the roaches were the targets; but the bed bugs died, too. More recently, the trend in residential pest control has shifted toward the use of less-toxic, specie-specific baits that are unattractive to or ineffective against insects other than those they were designed to control. They're a lot safer, but they're also very narrowly targeted. So nowadays, when the exterminator treats your home for roaches, chances are he's going to use a syringe of some bait that controls only roaches. The bed bugs won't eat it, so they won't die. In fact, they'll just thank the exterminator for clearing away the riff-raff.